There has been a lot in the UK news about the Treasured City artwork commissioned by 20-21, Scunthorpe’s Visual Arts Centre. Acclaimed artist Luke Jerram has cast five small artefacts in 18 carat gold. The sculptures, which are copies of objects selected from the North Lincolnshire Museum have been hidden somewhere in the Scunthorpe region. Clues to their exact whereabouts have been woven into five intricate paintings that went on display at the 20-21 gallery on 18 February. 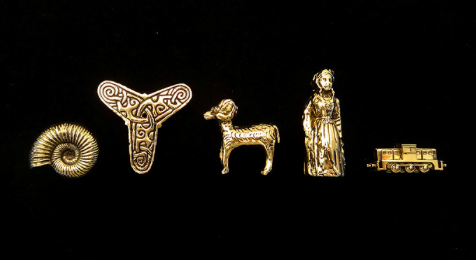 Each miniature is worth around £2500, and can be kept by the person finding it. This project has captured the imagination of ‘treasure hunters’ across the UK, but Luke Jerram is also known more widely for his stunningly successful Play Me, I’m Yours piano installations, which have reached an estimated 10 million people across the world. In case you are unaware of this event, Play Me, I’m Yours is an artwork that invites local communities and organisations to place pianos in public places for everyone to play and enjoy. Local artists and community groups are invited to decorate the pianos to increase awareness of the instruments. 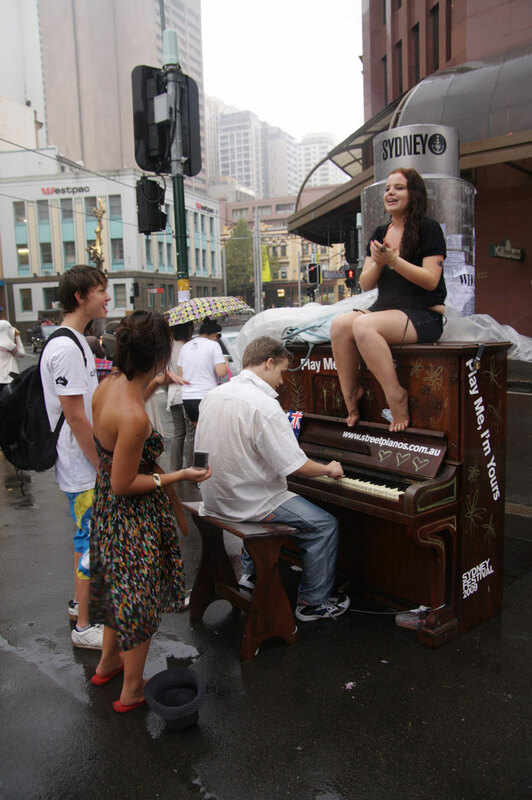 Pianos bearing the Play Me, I’m Yours logo, have appeared in more than 50 cities across the world. The first such vent was commissioned in 2008, with 15 pianos located across the UK city of Birmingham. The cities taking part this year include Florence, South Carolina (21 April – 7 May); Augsburg, Germany (7 – 25 May), and Norfolk, Virginia (23 May – 4 June 2017). Others have taken the idea on-board and have set up their own versions of the street piano concept – for example Cobourg, Canada, have their Keys to Our Town annual event starting in June which includes a competition for local artists to design the pianos located around the town. In these somewhat difficult times, Luke Jerram continues to bring a bit of fun and colour to peoples lives. We look forward to his next project.